On August 4, I posted my translation of Cuban intellectual Esteban Morales' response to the explosive intervention by the 37-year-old Granma deputy editor, Karina Marron, at a meeting of the Cuban Journalists Union (UPEC) on June 28. I then translated Marron’s leaked intervention itself, followed by a blog post by Granma's young international editor, Sergio Alejandro Gomez, on 'The troubled relationship between journalism and politics in Cuba'. This served to introduce another rising star of Cuban journalism and to contextualise Marron's remarks. Much has transpired since then. In this long-overdue post and its sequel I’ll try to summarise this whole episode to date and comment on its significance for Cuba’s socialist renewal. The course of events since the June 28 UPEC plenum has generated a wealth of translation-worthy material, a selection of which I hope to share with readers over the coming weeks. This post and that which will follow are an extended preface to the next raft of translations. On June 28, 37-year-old Karina Marron, the deputy editor of Granma, the Cuban Communist Party (PCC) daily, made some candid remarks at a closed-door meeting of the Cuban Journalists Union (UPEC). The Cuban media reported on the event, but airbrushed out of their coverage Marron’s more incendiary and newsworthy comments. That selectivity was a case of either actual censorship or self-censorship on the part of Cuban journalists and editors. The story might have ended there had a Cuban journalist from Radio Holguin, Jose Ramirez Pantoja, withdrawn his index finger as he hesitated before clicking ‘Enter’ to upload his transcript of Marron’s comments onto his personal blog. That hovering finger was like the proverbial butterfly in the Amazon: it triggered a storm in Cuban cyberspace with real-world repercussions. What did Marron say that set the cat among the pigeons? She spoke about the dire state of Cuban journalism: the difficulty of retaining young journalists repelled by Cuba’s propagandistic mass media and by pitiful salaries (a wider problem), bureaucratic controls (e.g. the recent prohibition on journalists freelancing for ‘independent’ Cuban or foreign media organisations to make ends meet) and UPEC’s own powerlessness. Congress after UPEC congress we've been saying the same things, yet nothing changes; we cannot repeat this cycle of impotence and inertia, she warned. The PCC and the press itself had been turning a blind eye to the real problems and viewing things in isolation, she added. There may indeed be a concerted effort to bring about a rift between the PCC and the press. But "as long as we, the Party and the press, continue to look elsewhere rather than where our real problems lie, while we continue viewing things in isolation rather than as a whole, we'll never resolve the problems we've been discussing for years." That devastating critique alone would have aroused well-honed instincts of self-censorship, and thus self-preservation, among Cuban journalists—to say nothing of the ire and alarm it must have aroused among the actual censors, i.e. the PCC Central Committee Ideological Department functionaries who set the limits on what can be written and said in the Cuban mass media. Yet Marron went further, suggesting the existence of a concerted effort by young Granma journalists to change things at the paper, to keep piloting “the yacht”—a figurative allusion, it seems, to the yacht Granma in which Fidel Castro and his comrades sailed from Mexico to Cuba to launch the revolutionary war against Batista, the yacht after which the paper is named. Marron's comments were thus charged with youthful revolutionary defiance, the spirit that Esteban Morales applauded. But Marron’s most explosive comments were not these. Elsewhere in her remarks, she violated a taboo not only of Cuban journalism but of the Cuban Communist Party itself: public criticism of Raul Castro (and before him, Fidel). Referring to Cuba’s difficult economic conjuncture, with Venezuela sending less oil, she warned: “A perfect storm is brewing”. But unlike in 1994, when Fidel’s powers of persuasion and personal intervention defused protests that broke out in Havana, “so far there hasn't been a figure in this country that faces the people to explain things to them as they're happening”. Whether or not she intended it, this could easily be interpreted as a criticism of Raul Castro’s rather different leadership style. Unlike Fidel, Raul prefers to work quietly behind the scenes. Raul did address the economic situation in his mid-year report to the National Assembly in June (dismissing any comparisons to the early 1990s, the harshest years of Cuba's post-Soviet 'Special Period'). But Fidel's withdrawal from public life has left an informational void. Gone is that ubiquitous presence; those frequent, hours-long televised speeches Cubans were accustomed to in which Fidel informed, criticised, explained, persuaded. While many Cubans might appreciate Raul's brevity and bluntness—and his disinterest in dominating the airwaves—that void has not been filled. The role of Cuba's pro-Revolution media assumes particular importance in this context. Marron's comments were explosive not only because of what she said, but because of who she is. As the deputy editor of Granma, Marron is next in line to take over the paper's editorship. That's a position of great responsibility and influence; and it will become even more important if her side of the struggle over the role and character of the Cuban press prevails. If the heavy hand of the PCC's Ideological Department is lifted, then Granma's editorial team will have more discretion to decide what is and isn't fit to print, and thus to shape public opinion. Such a devolution of powers over the press (and by extension, Cuban TV and radio) from the PCC's Ideological Department towards the editors and the journalists themselves, would be a significant power shift in Cuban society. Some fear it. Others are clamouring for it. Both the defenders of the status quo and those who challenge it understand that the stakes are high. This is no mere difference of opinion among comrades, but a protracted and largely subterranean arm-wrestle that burst into the open when Marron's remarks went viral. The prevailing Cuban press model is ever-more crisis-ridden. That's due to several converging factors, among them Fidel's withdrawal from public life; online connectivity and the rise of the Cuban blogosphere; low salaries and the inducement of the 'independent' media; the social differentiation and class polarisation taking place as the state promotes self-employment, small and mid-sized private businesses, cooperatives and foreign investment as complements to the dominant state sector, while the press remains that of a relatively homogeneous society; and a wider crisis of the prevailing Cuban socialist model as a whole, which embodies—among other things—decades of misguided revolutionary utopianism and the malign influence of Soviet Stalinism. The crisis of the press in Cuba is bound up, then, with the crisis of the prevailing Cuban socialist model; and the revitalisation of Cuba's pro-socialist mass media is bound up with the wider struggle for Cuba's socialist renewal. In this light, the present struggle over the Cuban press is an advanced front in that wider struggle. 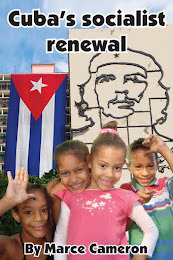 As Javier Gomez Sanchez, a contributor to the pro-Revolution Cuban youth website La Joven Cuba (see below) put it: “This is the Gramscian moment that we Cubans have arrived at, in which there are things that are dying but not yet dead, and there are others that are being born but their birth is incomplete. ... The issue of the media has been perhaps the first of national scope that has reached the most critical stage of this process. All or nearly all of us are convinced that the media cannot continue to be run in revolutionary Cuba in the way it has been up to now. The journalists know it, the public knows it, we socialists know it, the counter-revolution knows it and the PCC knows it. The struggle over the role and character of the Cuban press pits against each other two different conceptions of the relationship between the press and Cuba's highly concentrated political power. To Granma international editor Sergio Alejandro Gomez (see my previous post), according to the prevailing, 'dogmatic' conception, that relationship should be one of rigid subordination of journalism to political power. In the 'anti-dogmatic' conception, by contrast, that relationship would be subject to negotiation and a striving for consensus. This is the alternative vision that "needs to be empowered", he argues. In January, veteran Cuban journalist and columnist Luis Sexto—a recipient of Cuba's most prestigious journalism award in 2009 for his lifetime contribution to the profession—lamented Cuba's "propagandistic journalism, incapable of creating and resolving conflicts" and the "dull and uncritical character of the Cuban press." If journalists "only write to defend the stance of the paper, or those behind it, [then] journalism has no purpose", Sexto added. He concluded: "the press cannot be a window through which enemy influences penetrate society, but neither can it serve our own self-deception". If both the dogmatic and anti-dogmatic conceptions of the press contrasted by Granma's international editor are widely held in Cuban society as a whole, and tend to align with wider 'conservative' and renovationist currents of socialist thought and action, does this conceptual polarisation extend all the way to the top leadership of the PCC? Probably. But the PCC leadership's practice of thrashing out its differences behind closed doors then presenting a united front to society—which does make it harder for the Revolution's enemies to exploit differences of opinion at the top—makes it difficult to say without insider knowledge. Perhaps there's a consensus at the highest levels on the need to empower the anti-dogmatic conception and the barriers exist at other levels of the PCC; perhaps not. What's clear is Raul Castro's orientations to the press, and thus the majority, if not the consensus, view of the PCC leadership. In his report to the 6th PCC Congress in 2011, Raul chastised the press for being, not infrequently, "boring, improvised and superficial" and called on the media to "leave behind, once and for all, the habit of triumphalism, stridency and formalism". This was withering criticism. But whether the PCC leadership agree on a devolution of powers towards the editors and journalists, and a relationship between the press and the party apparatus based on negotiation rather than subordination, is another question. Time will tell. Within days of its publication (and hasty withdrawal) on Pantoja's personal blog, Marron's incendiary intervention went viral across Cuba's emerging cybersphere (and internationally). That virality had immediate repercussions. Within days Pantoja, 39, was sacked by his radio station. We'll come back to this dismissal later. In the Cuban cybersphere, public opinion quickly polarised, initially in response to the leaked transcript and then in response to the sacking of Pantoja. A fierce debate erupted online. Key protagonists quickly emerged on both sides, each drawing in their wake legions of below-the-post commentators who created lengthy discussion threads. On the blog of Silvio Rodriguez (see below) one such thread has clocked up more than 250 comments. It's hard to gauge the full extent of this online controversy, but its nodes seem to be a handful of Cuban websites and blogs—spanning the pro-Revolution ideological spectrum—that each have relatively large readerships. Some of these nodes are the personal blogs of key protagonists. Others are online publications, such as the pro-government Cubadebate website. One node is the blog of prolific Cuban blogger Iroel Sanchez. A former president of the Cuban Book Institute, Sanchez is a vociferous defender of the status quo, i.e. 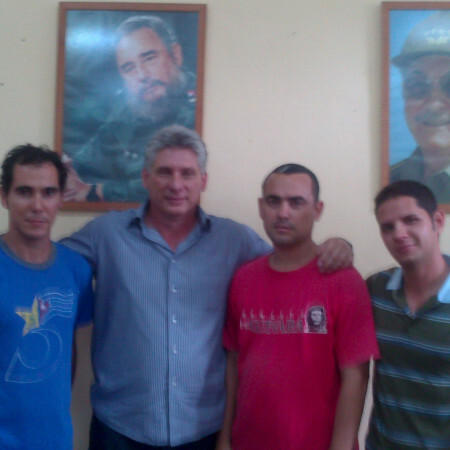 of Cuban socialist orthodoxy. His political line adheres closely to that of the government. Rather than seeking to push the boundaries of change in some desired direction (as does Esteban Morales for example), Sanchez tends to advocate only those changes in Cuban society that have become PCC policy. He is thus in the rearguard at best, rather than the vanguard, of 'changing everything that must be changed', as Fidel defined revolution in his May Day 2000 speech. Another node of the online debate is the blog of Uruguayan-born former BBC journalist Fernando Ravsberg. Unlike most foreign journalists posted to Cuba, Ravsberg is intimately familiar with Cuban society. 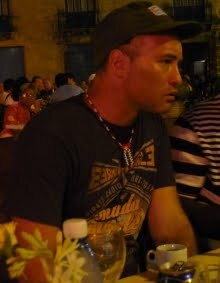 Married to a Cuban, he has lived in Cuba since the early 1990s and considers it home. His bilingual Cartas desde Cuba (Letters from Cuba), a mix of commentaries and interviews, occupy a niche for uncompromising journalism that the Cuban press has all but vacated. Consequently, his Cartas have a sizeable and avid Cuban readership. Ravsberg left the BBC in 2014 because, according to him, the broadcaster edited out his observation that the US had just criticised Cuba for human rights violations yet didn't mention that the largest concentration of political prisoners on the Cuban archipelago is in the US naval base at Guantanamo Bay. Ravsberg is no Marxist revolutionary, but neither is he a counter-revolutionary (as some of his detractors label him). Rather, he is a liberal leftist who harbours no prejudice, it seems, towards non-dogmatic Marxism—judging by his occasional appeals to the Marxist authority of Fidel Castro, Raul Castro, Che Guevara and Vladimir Lenin to make his point. The real problem with Ravsberg seems to be that his brand of journalism is anathema to those schooled in the propagandistic style; and that he's not Cuban, and therefore suspect. (An admirer of Ravsberg has pointed out that Che Guevara wasn't Cuban either, but Argentinean). Another debate node is the blog of legendary Cuban singer-songwriter Silvio Rodriguez, who makes no secret of his desire for a more transparent, pluralistic and participatory socialist model. Rodriguez is politically outspoken, but his prestige both within and outside Cuba make him almost untouchable. Were he to be demonised for his unorthodox views, when those views resonate with millions of Cubans, the demonisers would merely discredit themselves. That's prestige in the same league as that of the Cuban Five, or the late Alfredo Guevara, another outspoken critic from within the Revolution. Rodriguez's blog has hosted some of the richest veins of the online controversy, and Rodriguez himself has made numerous pithy interventions, some of which I'll share with readers. Yet another key debate platform is the website La Joven Cuba (Young Cuba), an initiative of two Communist Youth activists from the University of Matanzas in central Cuba, Haroldo Cardenas and Roberto Peralo. LJC is pro-Revolution but critical, irreverent and unorthodox. It went offline for a few months in 2013 after the University of Matanzas closed the site's internet account, citing 'ideological problems'. It resurfaced thanks to the personal intervention, it seems, of none other than Raul Castro's designated successor, first vice-president Miguel Diaz-Canel. The photo of a smiling Diaz-Canel flanked by LJC activists, beneath portraits of Fidel Castro and Raul Castro, is telling. The online debate has spilled over into the Cuban press itself, but cryptically and tangentially. For example, the Communist Youth daily Juventud Rebelde reported on September 3 that Diaz-Canel had met with the paper's staff, who spoke of the need to "eliminate certain institutional hindrances", but the report did not elaborate. The Cuban mass media has been studiously silent on the three things that precipitated the online debate: the leaking of Marron's UPEC intervention; the content of her most newsworthy remarks; and Pantoja's dismissal. Cuban journalists couldn't or wouldn't report on the dismissal of an experienced, decorated fellow journalist for publishing on his own blog what the deputy editor of Granma said at a meeting of his own professional association—and theirs—at which the Cuban media were officially present, and at which Pantoja represented his work collective. It was Ravsberg who broke the news of Pantoja's dismissal by allowing Pantoja to tell his side of the story in an interview that first appeared on Ravsberg's blog, followed by an English translation. 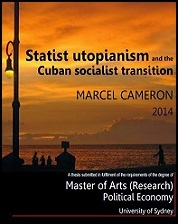 See my master's thesis, Statist Utopianism and the Cuban Socialist Transition. There's a brief discussion of the Cuban press on page 78.